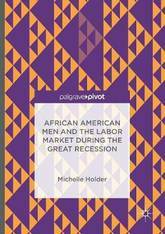 This book analyzes the status and position of African American men in the U.S. labor market prior to, during, and after the Great Recession. Using a model of occupational crowding, the book outlines how the representation of African American men in major occupational categories almost universally declined during the recent recession even as white non-Hispanic men were able to maintain their occupational representation in the face of staggering job losses. Using US Census Bureau data, this book illustrates how African American men sought to insulate their group from devastating job losses by increasing their educational attainment in a job market where employers exercised more leverage in hiring. However, this strategy was unable to protect this group from disparate job losses as African American men became further marginalized in the workforce during the Great Recession. Policy approaches to address high African American male unemployment are outlined in the final chapter. The research and review papers presented in this volume provide an overview of the main issues, findings, and open questions in cutting-edge research on the fields of modeling, optimization and dynamics and their applications to biology, economics, energy, finance, industry, physics and psychology. Given the scientific relevance of the innovative applications and emerging issues they address, the contributions to this volume, written by some of the world's leading experts in mathematics, economics and other applied sciences, will be seminal to future research developments and will spark future works and collaborations. 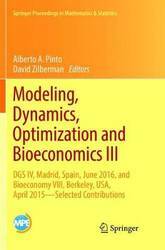 The majority of the papers presented in this volume were written by participants of the 4th International Conference on Dynamics, Games and Science: Decision Models in a Complex Economy (DGS IV), held at the National Distance Education University (UNED) in Madrid, Spain in June 2016 and of the 8th Berkeley Bioeconomy Conference: The Future of Biofuels, held at the UC Berkeley Alumni House in April 2015. The informal economy economic activity and income outside government regulation, taxation and observation is, by its very nature, difficult to quantify. Recent estimates suggest it accounts, in OECD countries, for around 13% of national income (in the UK, the equivalent of GBP150 billion) and in developing nations it can make up as much as three-quarters of all non-agricultural employment. Whatever the exact figures, it is clear that the informal economy plays a significant role in national incomes (eventhough excluded from calculations of GDP or GNP) and affects a large share of the global workforce. 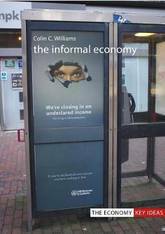 Colin C. Williams provides an authoritative introduction to the topic, explaining what the informal economy is (and what it isn't) and how it can best be measured. 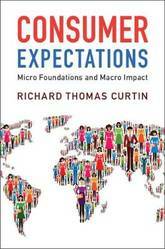 Taking a global perspective, he examines its characteristics in developed, developing and transitional economies, and looks at its role as a driver of economic growth. The theoretical underpinnings are explored, from conceptual origins in the development models of the 1950s, through to present-day discussions, which question whether a formalised economy is always the ideal. 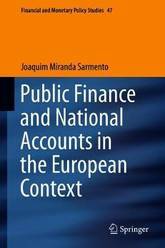 The book considers the economic motivations of the informal economy workforce, which may include tax evasion, circumventing regulations and maintaining state benefits, and assesses the different policy options available to governments to combat them, whether a punitive policy of deterrence, or one of accommodation that recognises the value of the sector in generating income and in meeting the needs of poor consumers. The book provides a masterly summation of the published research on the informal economy and an expert assessment of the key areas for research going forward. 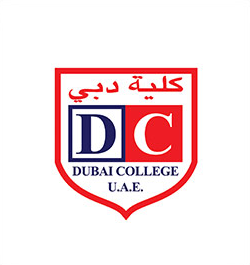 It will be welcomed by students taking courses in development economics, economic growth, labour economics, welfare economics and public policy. A major revision of an established textbook on the theory, measurement, and history of economic growth, with new material on climate change, corporate capitalism, and innovation. Authors Duncan Foley, Thomas Michl, and Daniele Tavani present Classical and Keynesian approaches to growth theory, in parallel with Neoclassical ones, and introduce students to advanced tools of intertemporal economic analysis through carefully developed treatments of land- and resource-limited growth. 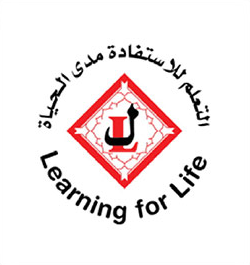 They cover corporate finance, the impact of government debt and social security systems, theories of endogenous technical change, and the implications of climate change. Without excessive formal complication, the models emphasize rigorous reasoning from basic economic principles and insights, and respond to students' interest in the history and policy dilemmas of real-world economies. 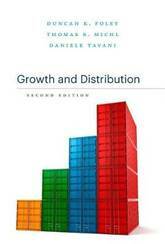 In addition to carefully worked out examples showing how to use the analytical techniques presented, Growth and Distribution presents many problems suitable for inclusion in problem sets and examinations. Detailed answers to these problems are available. 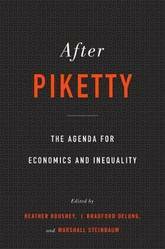 This second edition includes fresh data throughout and new chapters on climate change, corporate capitalism, models of wealth inequality, and technical change. 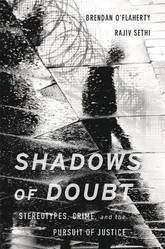 Shadows of Doubt reveals how deeply stereotypes distort our interactions, shape crime, and deform the criminal justice system. If you're a robber, how do you choose your victims? As a police officer, how afraid are you of the young man you're about to arrest? As a judge, do you think the suspect in front of you will show up in court if released from pretrial detention? As a juror, does the defendant seem guilty to you? Your answers may depend on the stereotypes you hold, and the stereotypes you believe others hold. 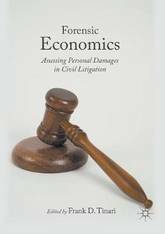 In this provocative, pioneering book, economists Brendan O'Flaherty and Rajiv Sethi explore how stereotypes can shape the ways crimes unfold and how they contaminate the justice system through far more insidious, pervasive, and surprising paths than we have previously imagined. Crime and punishment occur under extreme uncertainty. Offenders, victims, police officers, judges, and jurors make high-stakes decisions with limited information, under severe time pressure. With compelling stories and extensive data on how people act as they try to commit, prevent, or punish crimes, O'Flaherty and Sethi reveal the extent to which we rely on stereotypes as shortcuts in our decision making. Sometimes it's simple: Robbers tend to target those they stereotype as being more compliant. Other interactions display a complex and sometimes tragic interplay of assumptions: If he thinks I'm dangerous, he might shoot. I'll shoot first. Shadows of Doubt shows how deeply stereotypes are implicated in the most controversial criminal justice issues of our time, and how a clearer understanding of their effects can guide us toward a more just society. Imagine living for an entire year without money. Where do you live? What do you eat? How do you stay in touch with your friends and family? Former businessman Mark Boyle thought he'd give it a try. In a world of seasonal foods, solar panels, skill-swapping schemes, cuttlefish toothpaste, and compost toilets, Boyle puts the fun into frugality and offers some great tips for economical and environmentally friendly living. By following his own strict rules, he learns ingenious ways to eliminate his bills and flourish for free. 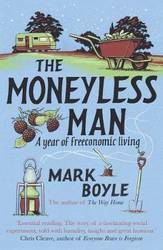 Heart-warming, witty, and full of money-saving tips, The Moneyless Man will inspire you to ask what really matters in life. 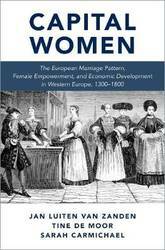 How women increasingly became economic agents in early modern Europe is the focus of this stimulating book, which highlights how female agency was crucial for understanding the development of the Western European economy and sheds light on economic development today. Jan Luiten van Zanden, Tine De Moor and Sarah Carmichael argue that over centuries a European Marriage Pattern developed, characterized by high numbers of singles among men and women, high marriage ages among men and women, and neolocality, where the couple forms a new nuclear household and did not co-reside with the parents of either bride or groom. This was due to the influence of the Catholic Church's teachings of marriage based on consensus, the rise of labor markets, and institutions concerning property transfers between generations that enhanced wage labor by women. Over time an unprecedented demographic regime was created and embedded in a highly commercial environment in which households interacted frequently with labor, capital and commodity markets. This was one of the main causes of the gradual move away from a Malthusian state towards an economy able to generate long-term economic growth. The authors explore how the pattern was influenced by and influenced female human capital formation, access to the capital market, and participation in the labor market. They use numerous measures of economic activity, including the unique Girlpower-Index that measures the average age at first marriage of women minus the spousal age gap, with higher absolute age at marriage and lower spousal age gap both indicating greater female agency and autonomy. 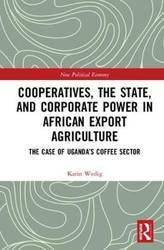 The book also examines how this measure can increase understanding of contemporary dynamics of women and the economy. The authors thus shed light on the degree to which women are allowed to play an influential role in and on the economy and society, which varies greatly from one society to another. 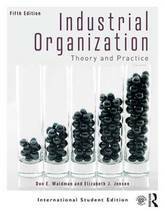 Industrial Organization: Theory and Practice blends a rigorous theoretical introduction to industrial organization with empirical data, real-world applications and case studies. 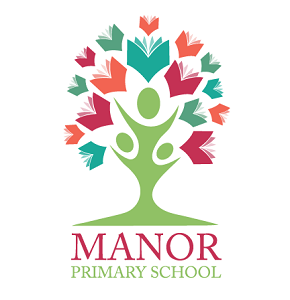 The book also supports students with a range of problems and exercises, and definitions of key terms and concepts. 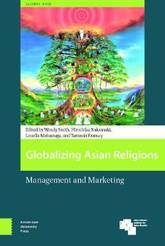 This balanced approach, which enables students to apply theoretical tools, has earned this book its ranking as one of the leading undergraduate texts in its field. For the fifth edition, relevant data, tables, empirical examples and case studies have been updated to reflect current trends and topics, in the most complete reorganization since the second edition. 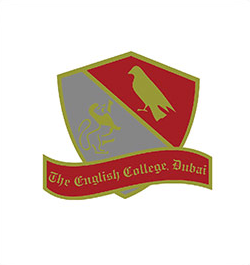 Further changes include: all public policy topics have been placed in the last section, making it simpler to use for courses that emphasize theory or public policy; an entirely new chapter on international trade and industrial organization; a new chapter on mergers; a separate section on antitrust; a companion website with PowerPoint slides and other supplements. 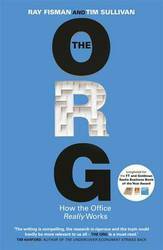 This comprehensive book bridges the gap between economic theory and real-world case studies in an accessible, logical manner, making it the ideal undergraduate text for courses on industrial organization. The countries that make up Southeast Asia are seeing an incredible resurgence in their economic power. Over the past fifty years, their combined wealth has reached the same level as the United Kingdom and, taken together, they are on track to become the fifth-largest world economy. But that stability and success has drawn the attention of the second largest world economy-China. The emerging superpower is increasingly involved in Southeast Asia as part of the ongoing global realignment. As China deepens its influence across the region, the countries of Southeast Asia are negotiating spaces for themselves in order to respond to-or even challenge-China's power. 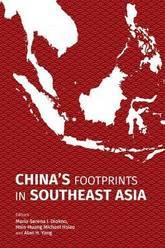 This is the first book to survey China's growing role in Southeast Asia along multiple dimensions. It looks closely and skeptically at the multitude of ways that China has built connections in the region, including through trade, foreign aid, and cultural diplomacy. It incorporates examples such as the operation of Confucius Institutes in Indonesia or the promotion of the concept of guangxi. China's Footprints in Southeast Asia raises the question of whether the Chinese efforts are helpful or disruptive and explores who it is that really stands to benefit from these relationships. 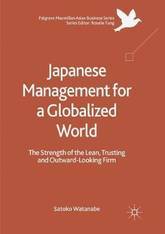 The answers differ from country to country, but, as this volume suggests, the footprint of hard and soft power always leaves a lasting mark on other countries' institutions. 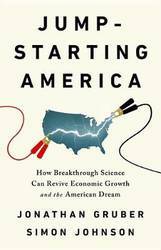 The untold story of how America once created the most successful economy the world has ever seen and how we can do it again. The American economy glitters on the outside, but the reality is quite different. Job opportunities and economic growth are increasingly concentrated in a few crowded coastal enclaves. Corporations and investors are disproportionately developing technologies that benefit the wealthiest Americans in the most prosperous areas--and destroying middle class jobs elsewhere. To turn this tide, we must look to a brilliant and all-but-forgotten American success story and embark on a plan that will create the industries of the future--and the jobs that go with them. Beginning in 1940, massive public investment generated breakthroughs in science and technology that first helped win WWII and then created the most successful economy the world has ever seen. Private enterprise then built on these breakthroughs to create new industries--such as radar, jet engines, digital computers, mobile telecommunications, life-saving medicines, and the internet-- that became the catalyst for broader economic growth that generated millions of good jobs. We lifted almost all boats, not just the yachts. Jonathan Gruber and Simon Johnson tell the story of this first American growth engine and provide the blueprint for a second. It's a visionary, pragmatic, sure-to-be controversial plan that will lead to job growth and a new American economy in places now left behind. A masterful introduction to the key ideas behind the successes--and failures--of free-market economics Since 1946, Henry Hazlitt's bestselling Economics in One Lesson has popularized the belief that economics can be boiled down to one simple lesson: market prices represent the true cost of everything. But one-lesson economics tells only half the story. 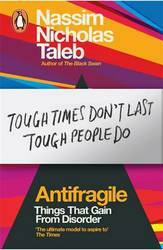 It can explain why markets often work so well, but it can't explain why they often fail so badly--or what we should do when they stumble. As Nobel Prize-winning economist Paul Samuelson quipped, When someone preaches 'Economics in one lesson, ' I advise: Go back for the second lesson. 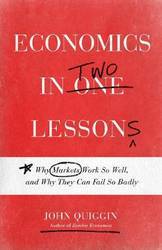 In Economics in Two Lessons, John Quiggin teaches both lessons, offering a masterful introduction to the key ideas behind the successes--and failures--of free markets. Economics in Two Lessons explains why market prices often fail to reflect the full cost of our choices to society as a whole. For example, every time we drive a car, fly in a plane, or flick a light switch, we contribute to global warming. But, in the absence of a price on carbon emissions, the costs of our actions are borne by everyone else. In such cases, government action is needed to achieve better outcomes. Two-lesson economics means giving up the dogmatism of laissez-faire as well as the reflexive assumption that any economic problem can be solved by government action, since the right answer often involves a mixture of market forces and government policy. But the payoff is huge: understanding how markets actually work--and what to do when they don't. 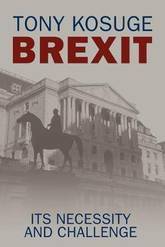 Brilliantly accessible, Economics in Two Lessons unlocks the essential issues at the heart of any economic question. 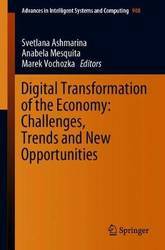 This book gathers the best contributions from the conference Digital Transformation of the Economy: Challenges, Trends and New Opportunities , which took place in Samara, Russian Federation, on May 29-31, 2018. Organized by Samara State University of Economics (Samara), Russia, the conference was devoted to issues of the digital economy.Presenting international research on the impact of digitalization on economic development, it includes topics such as the transformation of the institutional environment under the influence of informatization, the comparative analysis of the digitalization development in different countries, and modeling the dependence of the rate of change in the economy on the level of the digitalization penetration into various spheres of human activity. It also covers business-process transformation in the context of digitalization and changes in the structure of employment and personnel training for the digital economy. Lastly, it addresses the issue of ensuring information security and dealing with information risks for both individual enterprises and national economies as a whole. 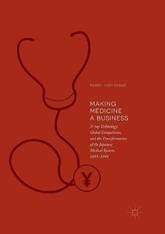 The book appeals to both students and researchers whose interests include the development of the digital economy, as well as to managers and professionals who integrate digital solutions into real-world business practice. With the arrival of the 21st century, many in the City of London believed a new Golden Age of Capitalism was finally approaching. All the ambitious projects of the Big Bang were remarkably progressing across the globe. As pay scales in the financial sector continued to climb, there seemed little to worry about...until one dreadful day in 2008. On the other side of the Atlantic Ocean, things were developing rather differently in the face of hitherto unknown hostility in the Pacific trade relationship. The Soviet Union had finally collapsed but the prodemocracy demonstration in China had to be suppressed. Nevertheless, these events could only reinforce an American belief - liberal democracy is the only remaining `sacred' ideology in the world. In such emancipated optimism, everybody could still enjoy the unprecedented financial momentum of Wall Street lasting even today. Tony Kosuge argues this pre-Brexit global shift in the West must be fundamentally altered by the people's verdict in Britain, as the EU is abruptly caught on the defensive with a massive inflow of desperate migrants crossing the Mediterranean from the war-torn Middle East. Growing public discontent in Europe with austerity measures must be contained, as it is reaching breaking point elsewhere. In this moment of extraordinary tension, Kosuge casts fresh light on the approaching financial threat and how a possible solution to the current economic crisis can be established to overcome the inherent flaws in the current global economy. 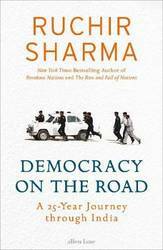 He reassesses a hidden force that is the still-surviving `forgotten' ideology in the East to deliver drastic appraisals of our own economic system, and above all, the required strategy for its long anticipated recovery. The publication of Alexis de Tocqueville's Democracy in America has kindled interest across disciplines to appraise the exceptional nature of U.S. activities. 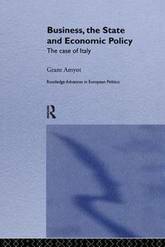 In general, however, all the published works have not focused their analyses from an economic point of view. 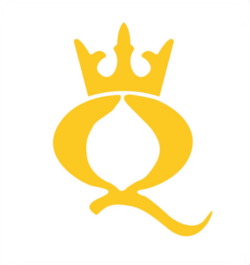 While economics was for some a dismal science following Thomas Carlyle's characterization of Malthus' demographic model, it has increasingly become the queen of the social sciences for more practitioners. 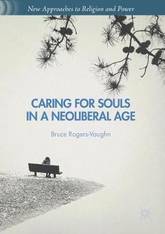 The book fills a gap in the literature by describing the American contributors as precursors and genuinely exceptional economists. We present their works within the state of the nation in which they advance their discipline.One is treated to both qualitative and quantitative theories in the opening chapter. 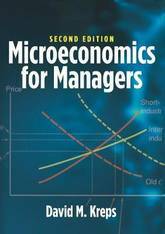 Budding theories that became established theories of Economics and Finance are investigated in Chapters II and III. When President John Adams was confronted with M. Turgot's criticisms of the American government, he resorted to a historic survey of types of government from ancient Greece to the Middle Ages. 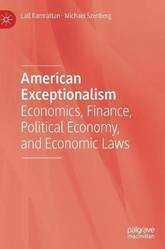 Similarly, we have included a final chapter, Chapter IV, to present the argument for American Exceptionalism in the domain of Political Economy and Economic Law over the ages. 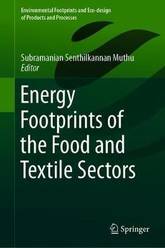 This book addresses energy footprints in the food and textile sectors. Each footprint case study presents essential background information and discusses the scientific consensus, methodological framework, assessment checklist, calculation tools and techniques, applications, challenges and limitations. 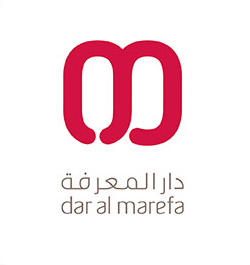 More importantly, the book explores the application of each indicator/framework in various industrial sectors and the associated challenges, as well as outlooks for the future - essential considerations, given that energy consumption and conservation are the primary elements in any industry's sustainability strategy. 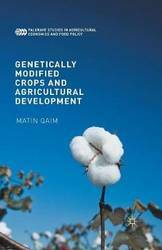 This book analyzes the impacts of current and possible future GM crop applications and shows that these technologies can contribute substantially to sustainable agricultural development and food security.